The undergraduate training in O&G is scheduled to the 5th year of the 6-year curriculum. During the 5th year, medical students are divided into four major groups and rotate to the following four modules in turns: (1) O&G, (2) Psychiatry, (3) Paediatrics, and (4) Family and Community Medicine. Each group will spend a total of 9 weeks in each module. 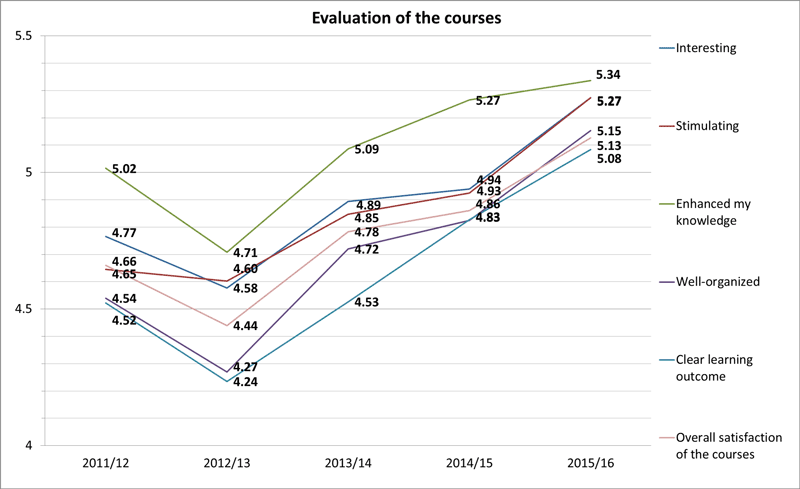 In the O&G module, medical students will take 4 weeks in learning obstetrics and 4 weeks in gynaecology. The last week is for revision and examination. The main teaching venue is Prince of Wales Hospital, but medical students may have opportunity in attending other O&G units in Kwong Wah Hospital, Tuen Man Hospital, Princess Margaret Hospital, United Christian Hospital, Queen Elisabeth Hospital, North District Hospital, Alice Ho Nethersole Hospital and Family Planning Association. Our department is dedicated to high-quality medical education. 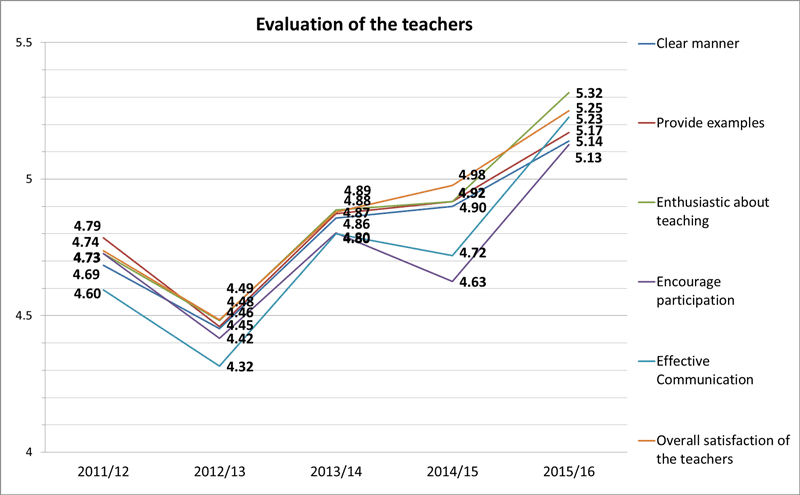 Our courses and teachers have been highly evaluated by the medical students in the past few years as shown in Figure 1 and Figure 2. In the past several professors from our department had been awarded by our Faculty of Medicine ‘The best Teacher of the Year’. 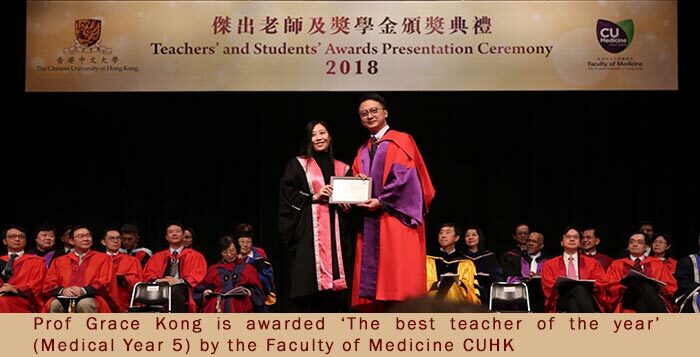 Professor Grace Kong is awarded ‘The best teacher of the year’ (Medical Year 5) by the Faculty of Medicine CUHK. 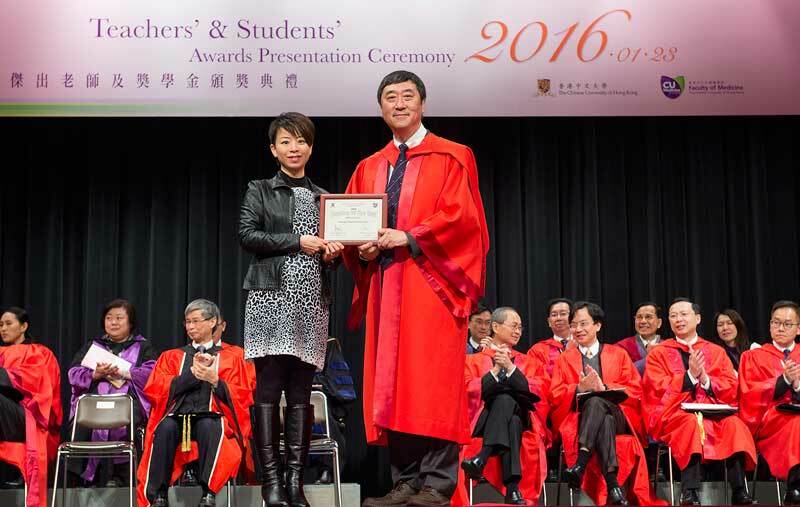 Professor Yvonne Cheng is awarded again the ‘The best Teacher of the Year’ for the academic year 2015-2016. 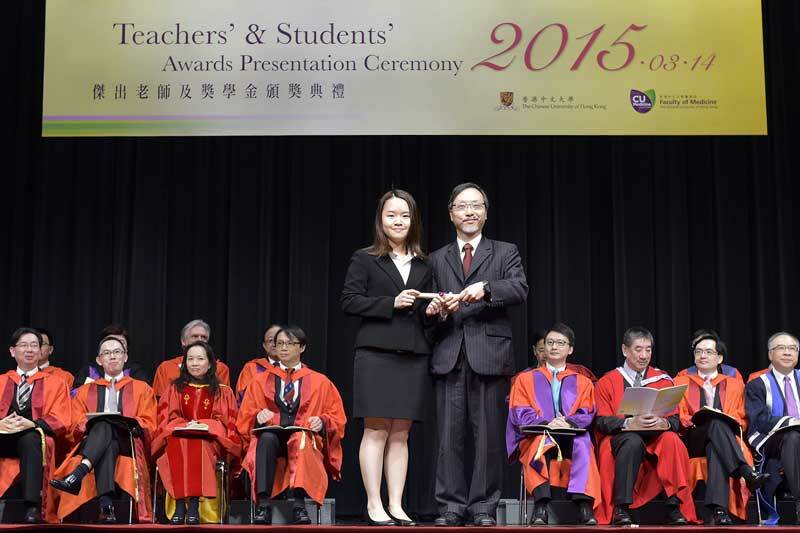 Professor Yvonne Cheng is awarded again the ‘The best Teacher of the Year’ for the academic year 2014-2015. 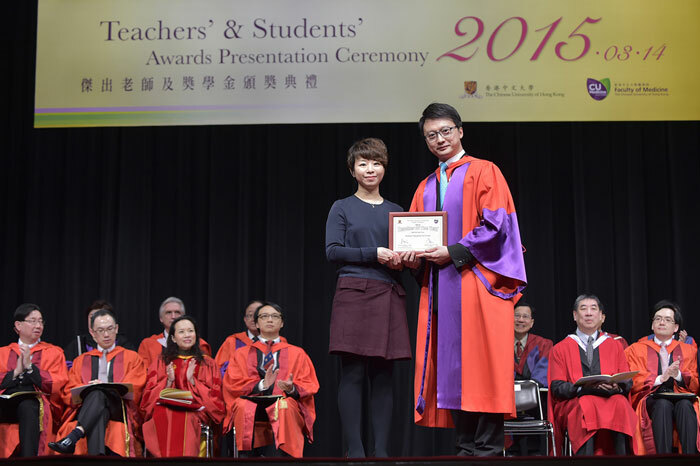 Professor Yvonne Cheng is awarded the ‘The best Teacher of the Year’ for the academic year 2013-2014. Medical students will enjoy the precious opportunities in attending natural childbirth or operative delivery in the labour ward, as well as various kinds of gynaecological surgery. In the “Students’ Forum”, the students will have the valuable opportunity to present interesting cases, participate in role plays or in debates, through which they will learn in depth about interesting and controversial issues in O&G, as well as in communication skills. The distinguished students may be awarded a prize offered by The Hong Kong College of Obstetricians and Gynaecologists. 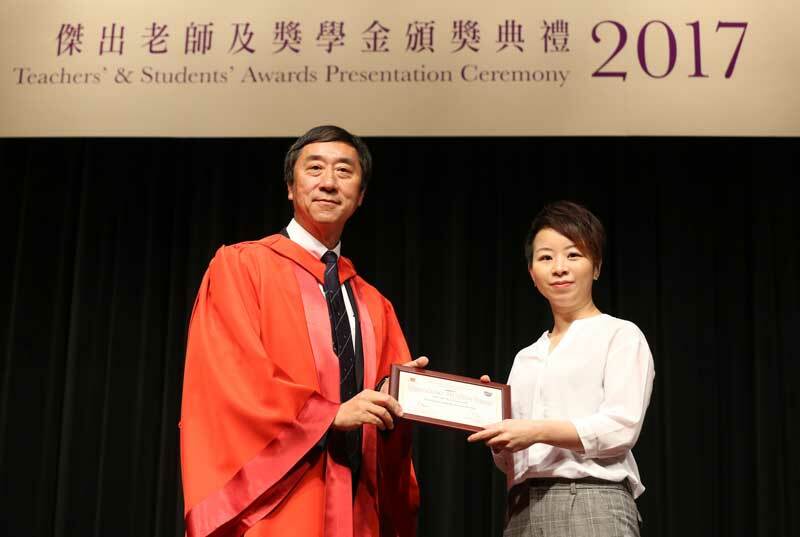 The distinguished student is awarded ‘The Hong Kong College of Obstetricians and Gynaecologists scholarship’ for the academic year of 2013-2014. Students who are interested in taking O&G as their future career may choose O&G as their elective training at the end of Year 5. They may spend 4 to 6 weeks in an O&G unit in Hong Kong or in oversea recommended by the professors.